​Creative Commons (CC) requested Intelligent Television to help explain the CC BY license and open video best practices through video for community and career technical colleges grantees of the U.S. Department of Labor Trade Adjustment Assistance Community College and Career Training program (TAACCCT). 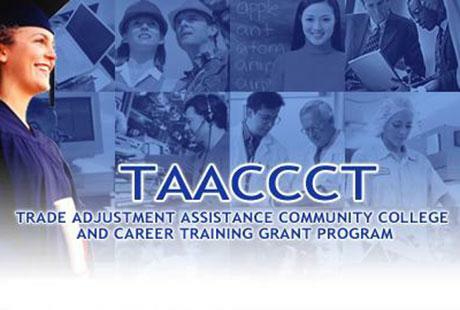 TAACCCT is providing community colleges and other eligible institutions of higher education funds to expand and improve their ability to deliver education and career training programs that can be completed in two years or less, are suited for workers who are eligible for training under the Trade Adjustment Assistance for Workers program, and prepare program participants for employment in high-wage, high-skill occupations. The targeted population of this program is workers who have lost their jobs or are threatened with job loss as a result of foreign trade. Online learning strategies can allow adults who are struggling to balance the competing demands of work and family to acquire new skills at a time, place, and pace that are convenient for them. With the creation of new digital, openly licensed courses, textbooks and programs that can ultimately be shared and distributed nationwide, community colleges and other eligible institutions across the country can offer more classes without building more classrooms. New courses and programs can create new routes for workers and other students to gain knowledge, skills and credentials, and earn academic credit based upon achievement rather than class hours, all while providing continuous feedback to students and instructors.